Neo-vintage style ... 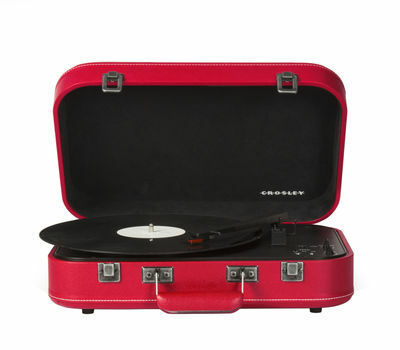 Founded in 1920, the famous American Crosley brand offers reissues of record player models from the 50s. Recent technology is dressed up in a vintage design with delicious retro charm. 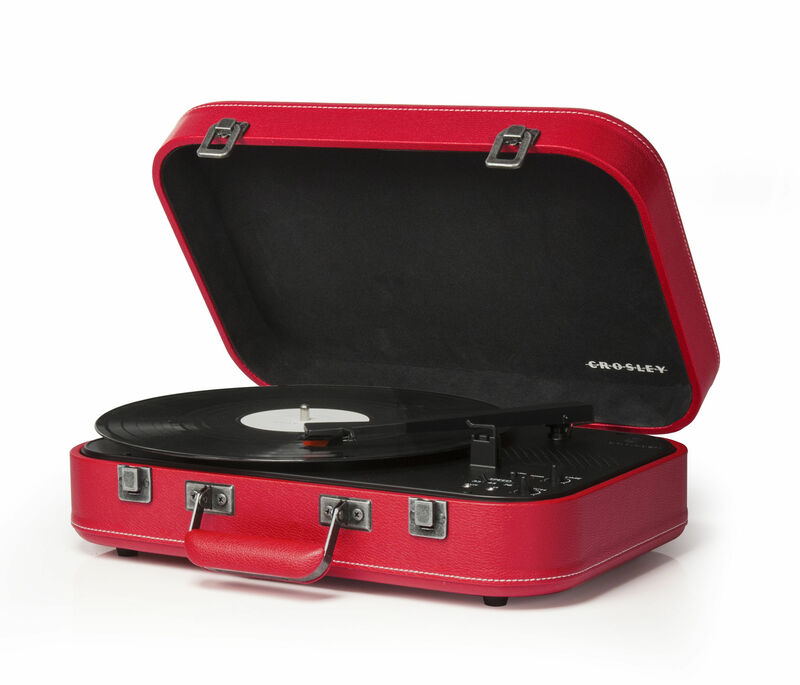 Chic and easily portable, this vinyl turntable case is covered with imitation leather with exposed seams. The inside is soft felt. 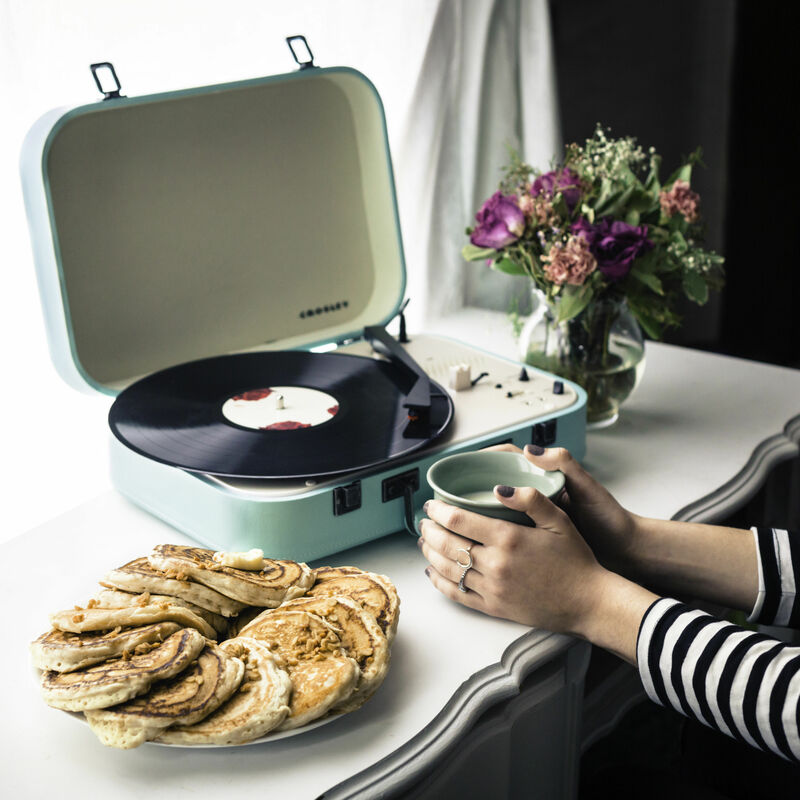 With its integrated loudspeaker and amazing light weight (2.2kg), the Coupe turntable lets you take your music with you everywhere! Actually very modern behind its old-school look, it also features Bluetooth technology, great for listening to your recorded playlists on your tablet or smartphone. Technology-wise, Crosley has thought of everything. The Coupe turntable has 3 speeds to play your 33s, 45s and 78s. It includes a volume control button. The pitch control button lets you better adapt the tempo and pitch of the sound according to the vinyl you’re listening to. The playing head is equipped with a diamond NP6 cell for a really clear sound. The arm has a practical safety feature so that it doesn’t move during transport. With its Jack plug, you can plug in your headphones for solo listening. Equipped with an adapter, the Coupe turntable connects to the mains. Its four rubber feet provide good stability. The American brand Crosley is an icon of the 1920s that manufactured radios at affordable prices. 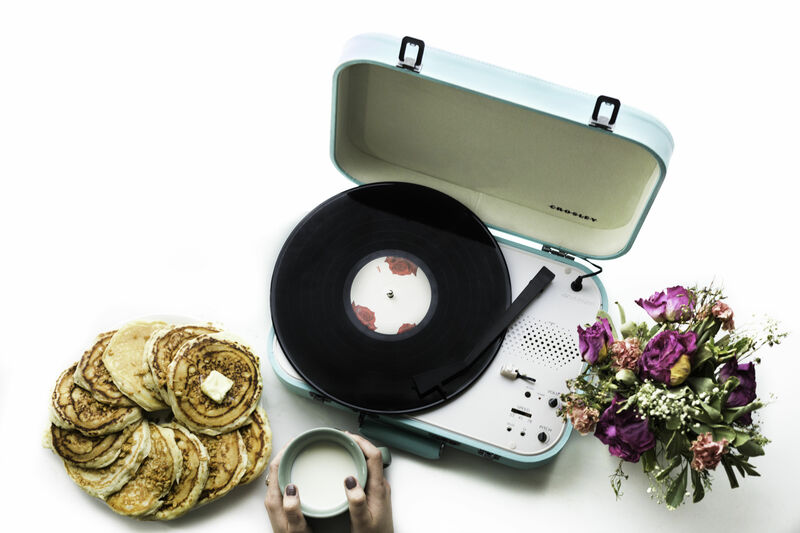 Today, it produces retro-chic turntables which are insanely trendy. Please note: the first time you use your turntable, remember to remove the diamond cover from the playhead to avoid scratching your favourite vinyl!